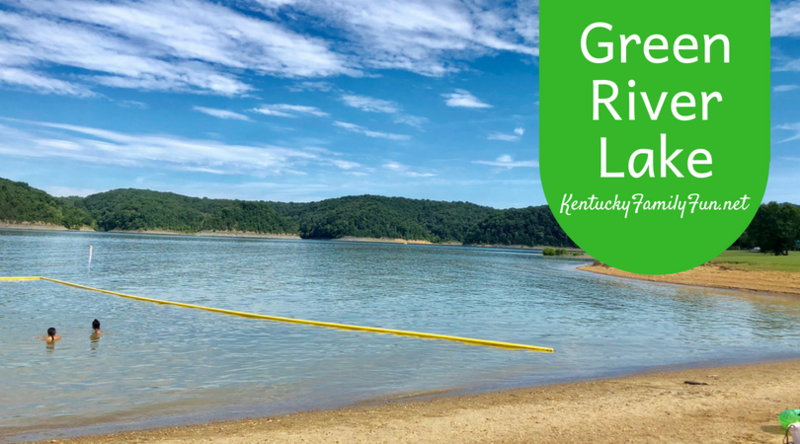 On a quick trip to Campbellsville on a hot summer day, my daughter and I decided on a short stop at Green River Lake to swim at the beach. We love the beach and living in Kentucky, we can't get to the ocean for a quick dip. There are several Kentucky State Park lakes that offer beach swimming and Green River Lake is one of them. The lake was very easy to find using my phone map and there was no fee to enter to park. Once in the park, we followed the signs for the beach. There was ample parking and we quickly made our way to the water. The sign near the lake stated that the beach is open from 11am - 6pm and of course, this is during summer months. The beach itself was very rocky. I advise water shoes for this beach. The beach was clean and the water was very warm and refreshing. Even in the water, my daughter and I both said we definitely have to tell people to bring water shoes or floats to avoid the rocky bottom. It was a very scenic area with landscape views all around, boats going by towing water-skiers, play spaces and lush trees. We noticed the campers adjacent to the beach so if you are looking for a new place to explore with a camper and dock a boat, definitely check our Green River Lake. Additionally, up on the hill we saw bathrooms and a small store. Upon leaving, we saw the miniature golf up on the hill, playgrounds, basketball, volleyball, hiking, fishing, and picnic shelters. Lots of thing to do! You could spend an entire day there or like us, pop in for a quick swim. Looking for pools? We have a list for that!